Get a gorgeous bronze customized for your skin tone. This luxuriously smooth, baked formula delivers multi-dimensional sheer, buildable color that looks healthy and natural, never orange or overdone. Ultra-fine reflective pearls create a subtle glow that mimics the effect of skin after a say in the sun! This line has four shades calibrated for every skin tone; fair to light, medium, tan and dark to deep! Get a gorgeous glow customized for your skin tone. 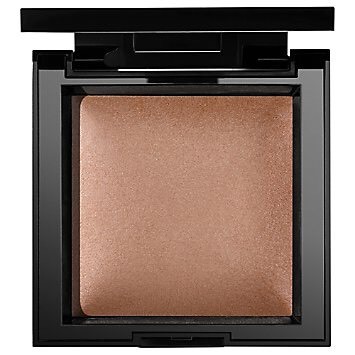 This luxuriously smooth, baked formula delivers sheer color that looks naturally luminous, never overdone. Ultra-fine reflective pearls catch the light to create a natural glow that mimics how sunlight reflects on skin. This line has four shades calibrated for all skin tones; fair to light, medium, tan and dark to deep! Come in and check out these gorgeous products today!